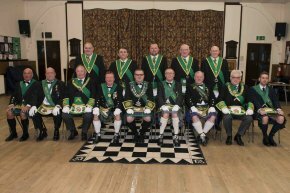 Lodge Burns Dundonald No.1759 held their Annual Installation on 29 March 2019. RWM Bro. 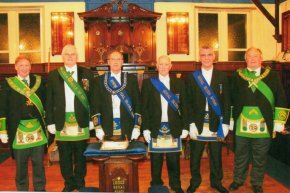 John McNeish and his Office-bearers were installed in to Office by Bro. William Nicol, Bro. Adam Cunningham and Bro. John Law all PMs of 1759. 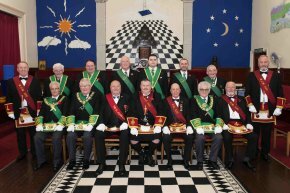 The Provincial Grand Lodge Deputation was headed by the RWPGM Bro. William Steel. 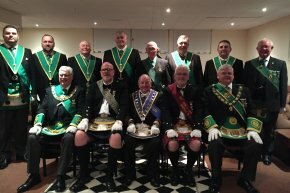 Lodge Stinchar Valley No.1705 held their Annual Installation on 16 March 2019. RWM Bro. 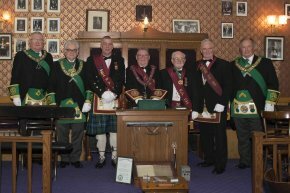 Jim MacDonald and his Office-bearers were installed in to Office by Bro. James McCracken PM 1705, Bro. Robert McMaster PM 1705 and Bro. Findlay McCracken PM Lodge Fergusson St. James No.566. The Provincial Grand Lodge Deputation was headed by the RWPGM Bro. William Steel. 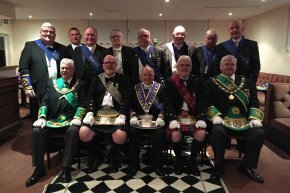 Lodge Burns St. Mary No.505 held their Annual Installation on 9 March 2019. RWM Bro. 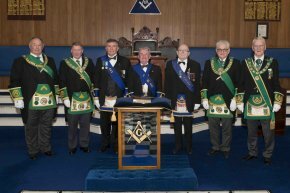 Derek Rutherford and his Office-bearers were installed in to Office by Bro. David Strachan and Bro. David Wallace, both PMs of 505. The Provincial Grand Lodge Deputation was headed by the RWPGM Bro. William Steel. 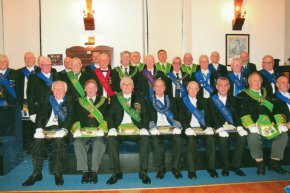 Lodge St. John (Kilwinning) Kilmarnock No.22 held their Annual Installation on 16 February 2019. RWM Bro. 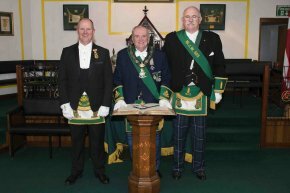 Scott Mauchlen and his Office-bearers were installed in to Office by Bro. Angus Houston PM St. John No.334, Bro. Paul Parker PM 22 and Bro. Adam Howie RWM St. John No.334. 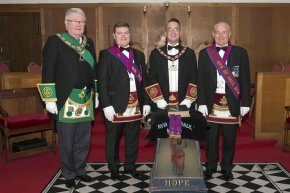 The Provincial Grand Lodge Deputation was headed by the SPGM Bro. Robert Stewart. 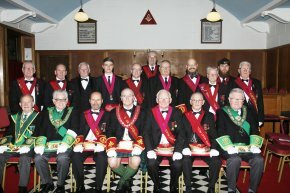 Lodge Royal Arch No.198 held their Annual Installation on 9 February 2019. RWM Bro. 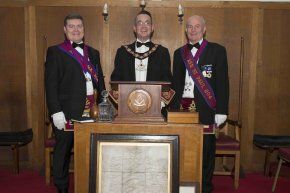 Ralph McMorland and his Office-bearers were installed in to Office by Bro. Charles Speirs PM 198, Bro. James Muir PM 198 and Bro. Alexander McGarvie PM 198. 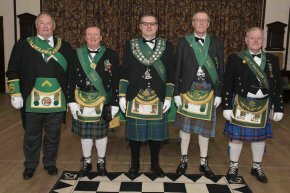 The Provincial Grand Lodge Deputation was headed by the SPGM Bro. Stewart Cruickshank. 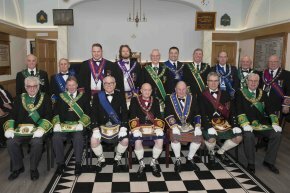 Lodge St. Matthew Kilwinning No.549 held their Annual Installation on 2 February 2019. RWM Bro. 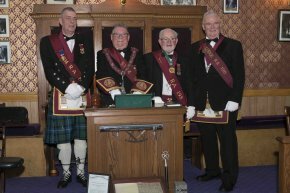 John McIntyre and his Office-bearers were installed in to Office by Bro. Ian McBreen PM 549, Bro. David McQueen PM 549 and Bro. Alan Brighton PM 549. 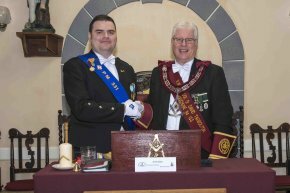 The Provincial Grand Lodge Deputation was headed by the SPGM Bro. William Grant. 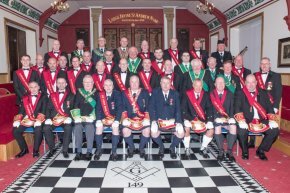 Lodge St. John No.334 held their Annual Installation on 19 January 2019. RWM Bro. 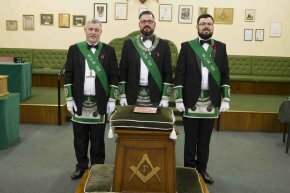 Adam Howie and his Office-bearers were installed in to Office by Bro. 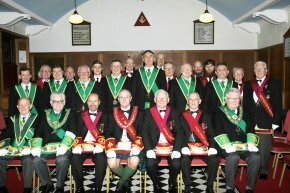 William Nicol PM Lodge Burns Dundonald No.1759 and Bro. William Lennox PM Lodge St. David (Tarbolton) Mauchline No.133. 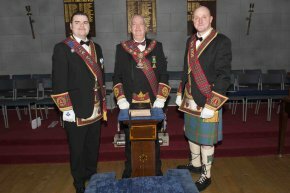 The Provincial Grand Lodge Deputation was headed by the SPGM Bro. Robert Stewart. 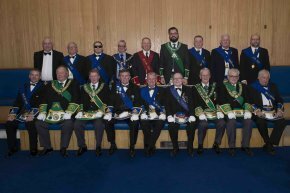 Lodge Montgomerie Kilwinning No.624 held their Annual Installation on 11 January 2019. RWM Bro. 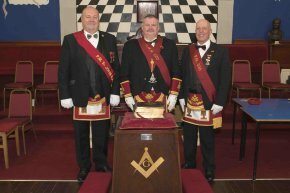 Thomas McDougall and his Office-bearers were installed in to Office by Bro. William Duncan PM 624, Bro. 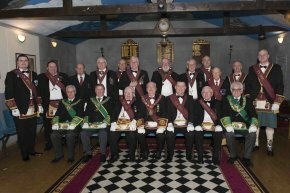 Thomas More PM Lodge Crawfurdsburn No.1121 and Bro. 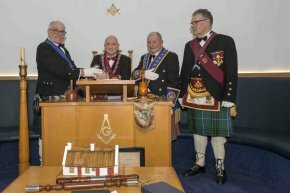 John Paton PM Lodge Crawfurdsburn No.1121. The Provincial Grand Lodge Deputation was headed by the RWPGM Bro. William Steel. 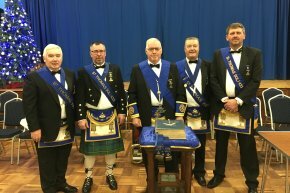 Lodge Prestwick No.1060 held their Annual Installation on 15 December 2018. RWM Bro. 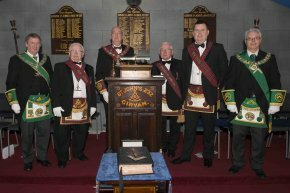 William Cowan and his Office-bearers were installed in to Office by Bro.Alex Whannel, Bro. Iain Hull and Bro. Robert McLauchlan, all Past Masters of 1060. 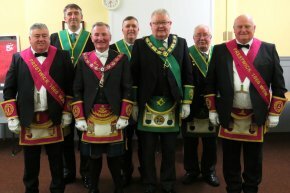 The Provincial Grand Lodge Deputation was headed by the DPGM Bro. James Bell. 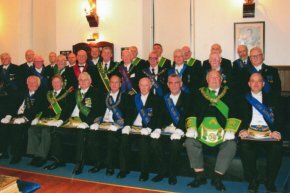 Lodge St. James Newton-upon-Ayr No.125 held their Annual Installation on 8 December 2018. RWM Bro. 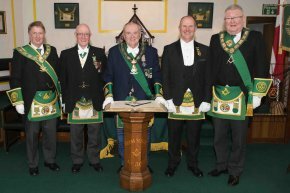 Gordon Reid and his Office-bearers were installed in to Office by Bro. Mervyn Stuart PM 125, Bro. William McCulloch PM 125 and Bro. Daniel Dunlop PM 125. 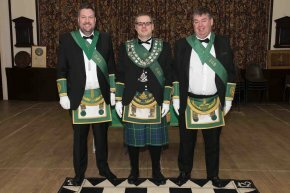 The Provincial Grand Lodge Deputation was headed by the SPGM Bro. Stewart Cruickshank. 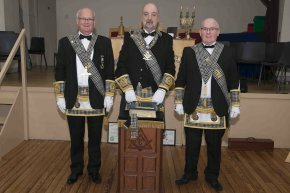 Lodge St. Thomas Kilwinning No.433 held their Annual Installation on 1 December 2018. RWM Bro. 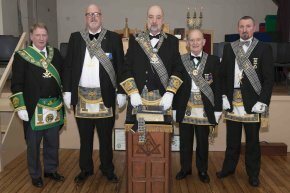 David McCartney and his Office-bearers were installed in to Office by Bro. John Riggans PM 433, Bro. Alexander Johnstone PM 433, Bro. Gordon Reid PM 433 and Bro. Robert McKinstry PM 433. 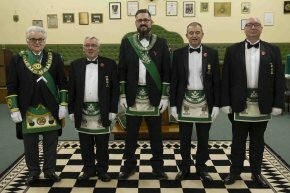 The Provincial Grand Lodge Deputation was headed by the SPGM Bro. Stewart Cruickshank. 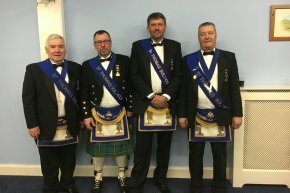 Lodge Irvine St. Andrew No.149 held their Annual Installation on 24 November 2018. RWM Bro. James Smith and his Office-bearers were installed in to office by Bro. Mark Watt PM 149 & Bro. Ian Payne PM 149. 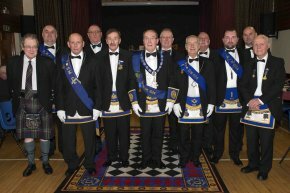 The Provincial Grand Lodge Deputation was headed by the DPGM Bro. James Bell. 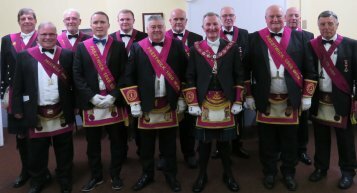 Lodge Ayr St. Paul No.204 held their Annual Installation on 17 November 2018. RWM Bro. 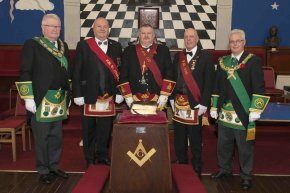 Robert O'Neill and his Office-bearers were installed in to Office by Bro. Harry Jamieson PM 204 and Bro. William McClymont PM 204. 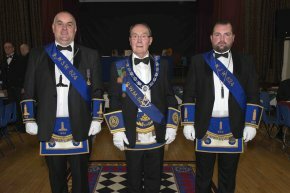 The Provincial Grand Lodge Deputation was headed by the DPGM Bro. James Bell. 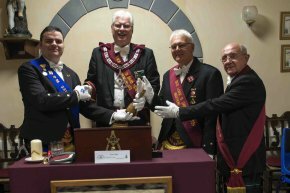 Lodge Neptune Kilwinning No.442 held their Annual Installation on 16 November 2018. RWM Bro. 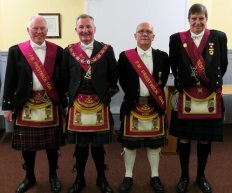 Scott Turnbull and his Office-bearers were installed in to Office by Bro. Herbert Taylor PM 442 and Bro. Martin McGinn PM Lodge Royal Arch No.314. 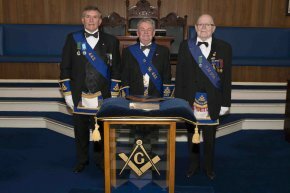 The Provincial Grand Lodge Deputation was headed by the RWPGM Bro. William Steel. Lodge St. John Royal Arch No.320 held their Annual Installation on 9 November 2018. RWM Bro. 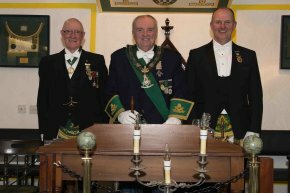 David Austen and his Office-bearers were installed in to Office by Bro. Colin Hannah PM Lodge St. John No.320 and Bro. Colin Boyd PM 320. 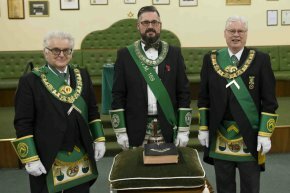 The Provincial Grand Lodge Deputation was headed by the DPGM Bro. James Bell. 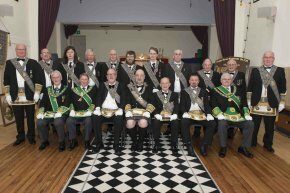 Lodge St. David (Tarbolton) Mauchline No.133 held their Annual Installation on 3 November 2018. RWM Bro. 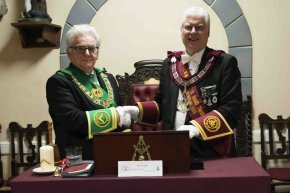 Robert Stewart and his Office-bearers were installed in to Office by Bro. Liam Stewart PM Lodge St. Peter No.331, Bro. Peter McClymont PM 133 and Bro. Wiliam Lennox PM 133. 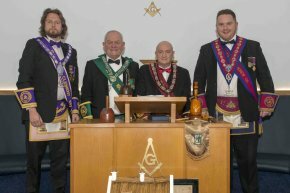 The Provincial Grand Lodge Deputation was headed by the SPGM Bro. Stewart Cruickshank. 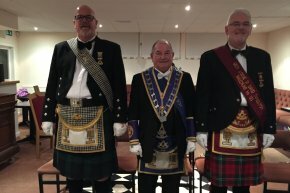 Lodge Thistle and Rose No.169 held their Annual Installation on 2 November 2018. RWM Bro. Stephen Foster and his Office-bearers were installed in to Office by Bro. John MacKellar PM 169, Bro. Robert Kerr PM 169 and Bro. James Hill PM 169. 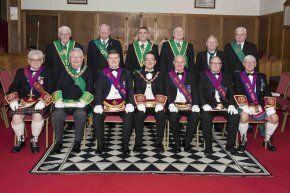 The Provincial Grand Lodge Deputation was headed by the SPGM Bro. Stewart Cruickshank.